Kurukshetra University Admissions 2018 - M-Phil Admissions Official Notification - Released! 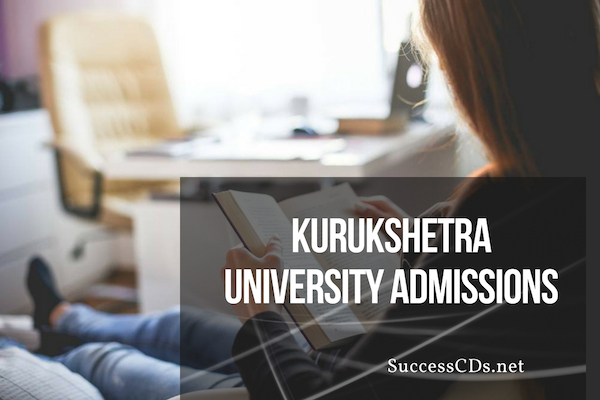 Check the complete M.Phil admission notification 2018 released by Kurukshetra University. Date of Entrance Test at K.U.K. except M.Phil. (Education) and M.Phil (History): 23th October 2018 at 11.00 a.m. Date of Entrance Test of M.Phil. (Education) & M.Phil. (History) at KUK: 23rd October 2018 at 02.00 p.m. Date of Counseling in the concerned Dept./Institute on the basis of physical Presence: 29th October 2018 from 09.00 to 11.00 a.m.